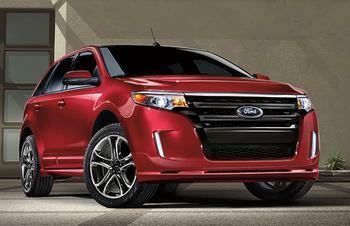 Ford Motor Company is recalling 503 model year 2018 Ford Edge and Lincoln MKX vehicles. These vehicles' door striker bolts may be shorter than intended, potentially resulting in the doors opening in the event of a crash and increasing risk of injury. Ford will notify owners, and dealers will replace the door striker bolts, free of charge. The recall is expected to begin October 15, 2018. Owners may contact Ford customer service at 1-866-436-7332. Ford's number for this recall is 18C06.